According to H2 Mobility, Great Wall is withdrawing from the Memorandum of Understanding signed in autumn 2018. 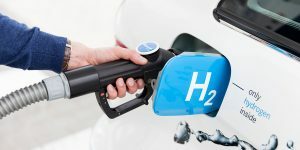 The reason given is that the car manufacturer has reorganised its hydrogen activities and is focusing on the Chinese market. According to Great Wall, the intention was to stimulate the exchange of experience by entering the market. For the first points of contact with fuel cell technology were already there, at least that was the case still last October: Great Wall presented a concept vehicle, its test centre in Baoding, China, and the acquisition of Shanghai Fuel Cell Vehicle Powertrain as the basis on which it could now build. But for the time being, nothing will come of this in Europe. Great Wall Motor is concentrating on their home market for now instead. According to our inquiry, Great Wall wants to accelerate faster there than previously announced and equip the current range of vehicles with fuel cell drives. However, these vehicles are not certified for sale in Europe and are therefore not exported here, which is why they concentrate all efforts on the rapid development of hydrogen mobility in China.